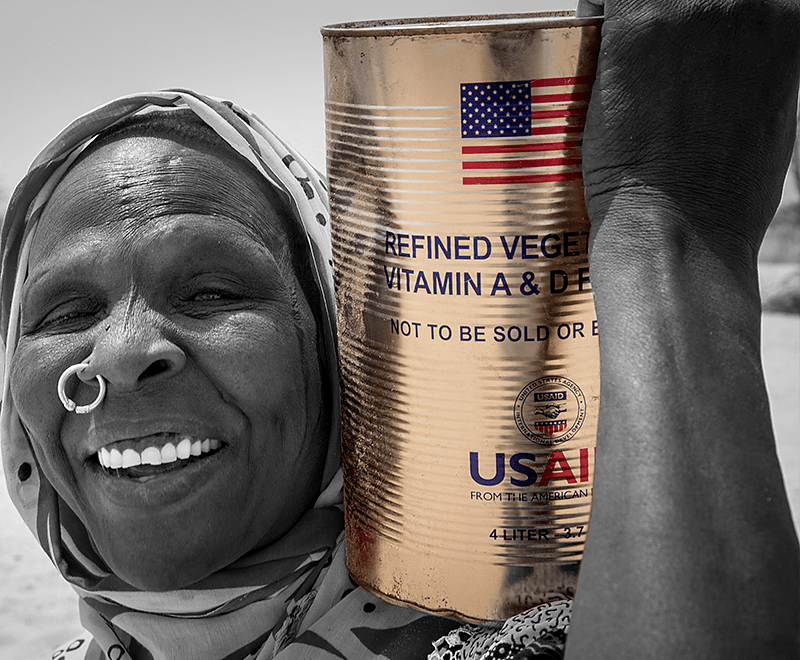 Solving hunger isn’t just about providing enough food. It’s about delivering the right kinds of food at the right time with the nutrients people need to survive. Iron-fortified cereals treat anemia in pregnant and breastfeeding women. Calorie-dense biscuits provide critical energy when cooking facilities are scarce. 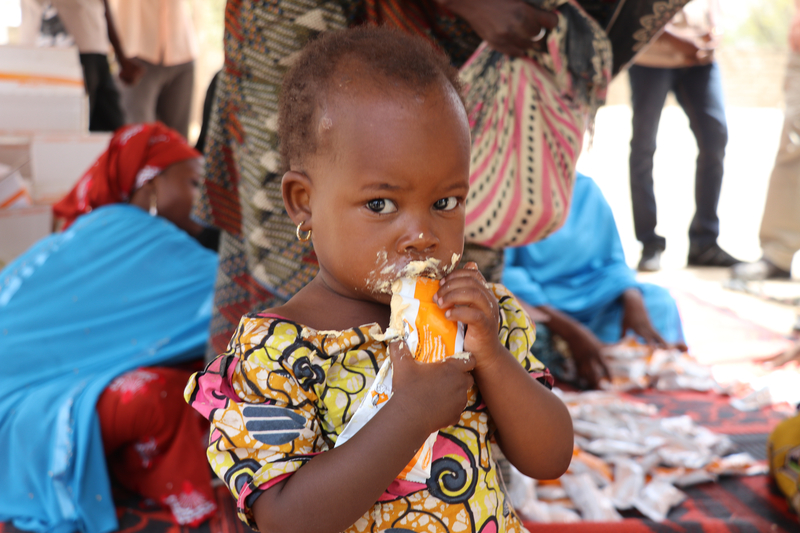 Tasteless powders contain 16 vitamins and minerals for undernourished babies and young children. 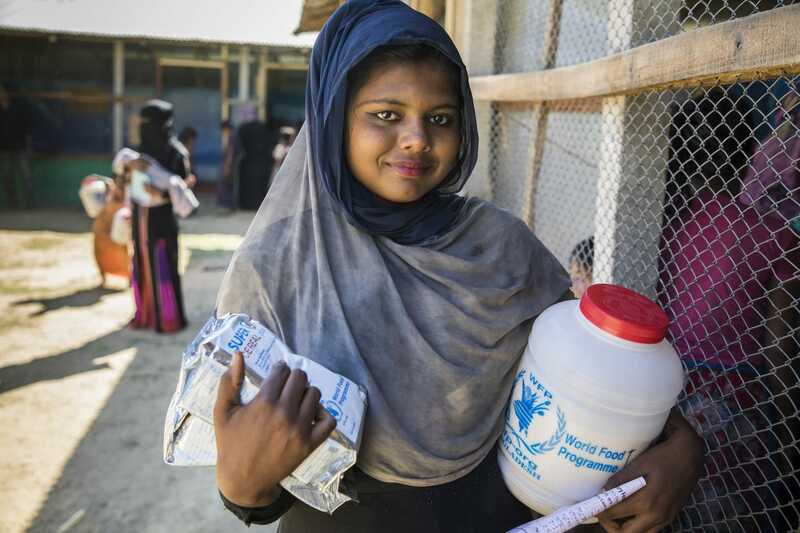 WFP delivers the healthy, nutritious food people need to end their hunger and malnutrition. Legumes such as lentils and chickpeas. When and where are they used? 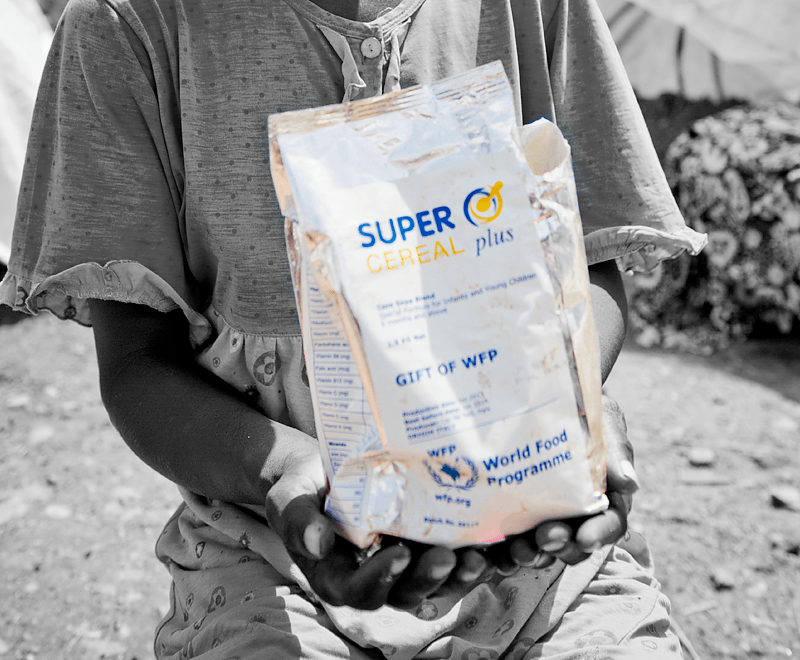 Often part of the staple food basket provided to a general population. 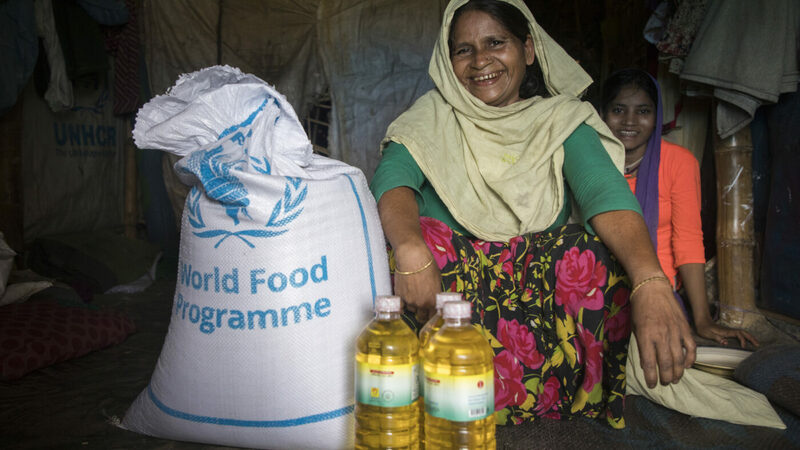 Can also be provided to displaced populations who rely on food assistance to survive. 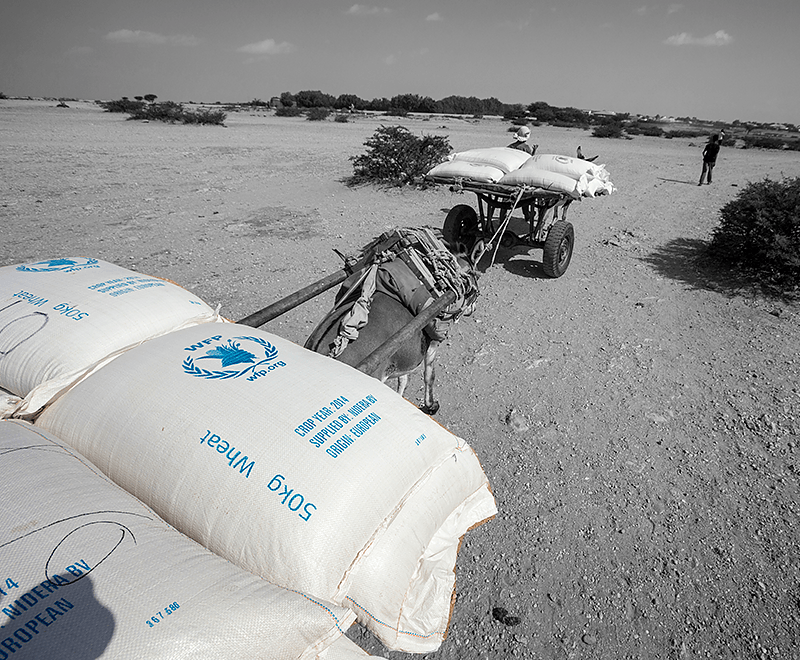 Transported in sacks and distributed as staple food items to be cooked. 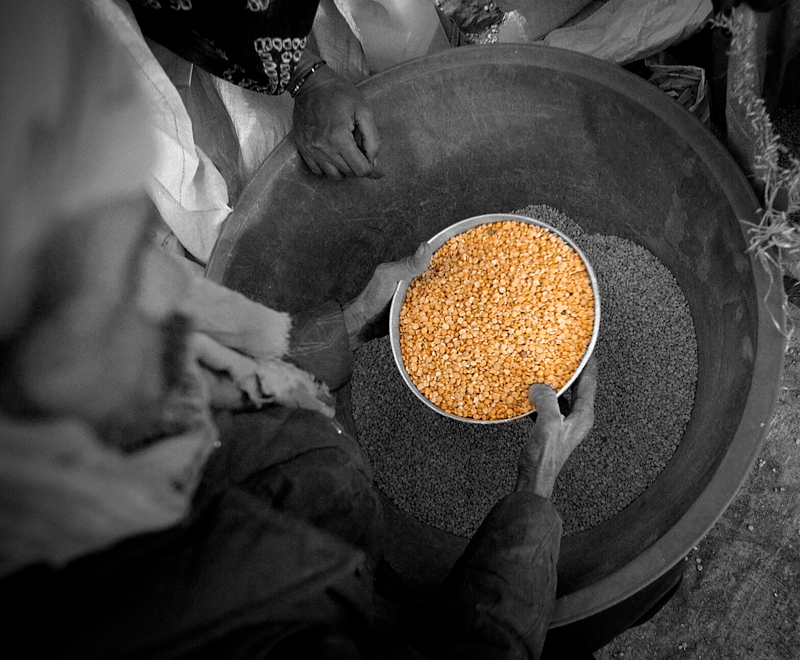 In developing countries, they’re often the most affordable and accessible source of protein. High in vitamins and minerals like fiber, iron, B vitamins and folate; contains about two times the protein found in whole grain cereals like wheat, oats and barley. Edible grasses or seeds such as wheat, barley, oats, rice or corn. Transported in sacks and distributed as staple food items to be cooked. Grains are high in vitamins and minerals like Vitamins A, B6, C and Iron. Bars of baked wheat flour, vegetable fat, soya protein concentrate and malt extract. When and when are they used? In emergencies when local food can’t be distributed or prepared. Not for children under 6 months or in the first weeks of treatment of severe malnutrition. Eaten straight from the package or mixed with water to make a porridge. Drinking water must be provided as the bars are compact and dry. Vitamins A, B1, B2, B6, B12, C, D3, Folic acid, Calcium, Magnesium, Iron, Zinc, Potassium and Sodium. Wheat-based biscuits that are fortified, pre-packaged and shelf-stable. In the first days of an emergency when cooking facilities are scarce. 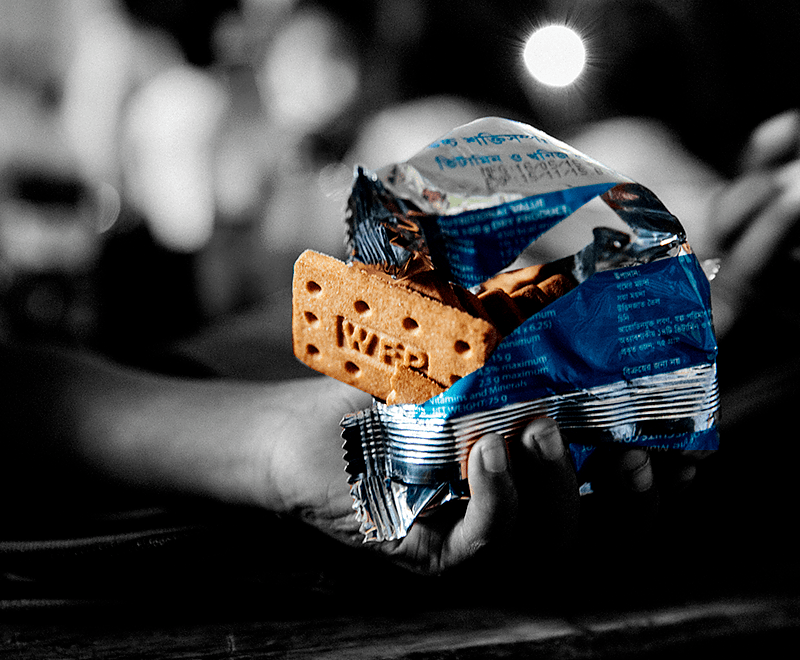 Because they’re pre-packaged and compact, high-energy biscuits are easy to distribute and provide a quick solution to improve the level of nutrition without water or cooking. 10 to 15 g protein and 450 kcal of energy. Vitamins A, B1, B2, B6, B12, C, D, E, Calcium, Magnesium, Iron, Iodine, Folic Acid, Pantothenic Acid and Niacin. Blends of partially pre-cooked and milled cereals, soya and beans fortified with micronutrients. Special formulas may contain vegetable oil or milk powder. 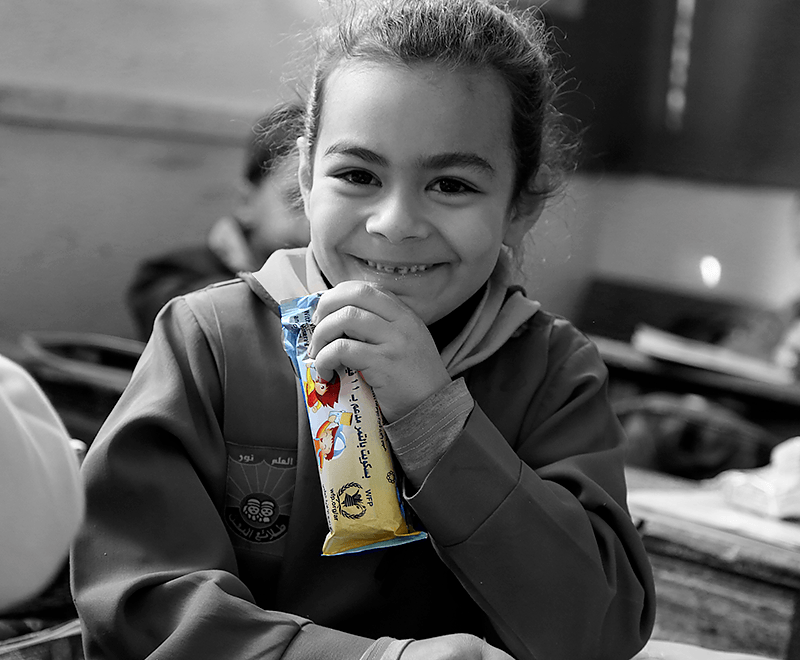 To provide protein supplements; as part of WFP’s school meals program; as part of programs to prevent and address nutritional deficiencies among mothers and children; and to provide extra micronutrients to complement the general ration. Usually mixed with water and cooked as a porridge. Vitamins A, B6, B12, C, Folic acid, Zinc, Iron, Calcium and Potassium. A tasteless powder containing the recommended daily intake of 16 vitamins and minerals. Useful as an alternative to fortified blends or when those blends are inadequate for specific groups. One sachet per person is sprinkled onto home-prepared food after cooking and just before eating. Can also be used in school meal programs. Vitamins A, B12, C, D, E, K, Pyridoxine, Folic Acid, Niacin, Zinc, Iron, Selenium and Iodine. Specially designed products for moderately malnourished children. May contain vegetable fat, dry skimmed milk, sugar and whey. In emergencies or in the prevention or treatment of moderate malnutrition. Complements breast milk and other food for children aged 6 to 59 months. Weekly rations or one-day sachets (Plumpy’Doz or Plumpy Sup, by Nutriset) can be eaten directly from their containers. Designed to be eaten as a supplement to the regular diet. Vitamins A, B1, B2, B6, B12, C, Calcium, Magnesium, Zinc, Iron, Potassium and Folic acid. They are fortified with vitamins and used for both cooking and taste. Vitamins A and D (oil) and Iodine (salt). The annual Global Nutrition Report is the world’s most comprehensive report on nutrition, collecting data from 141 countries.